The D. Brown Wildcat was designed and built for all driver sizes. The car will support drivers up to 6'7" down to the smallest drivers. 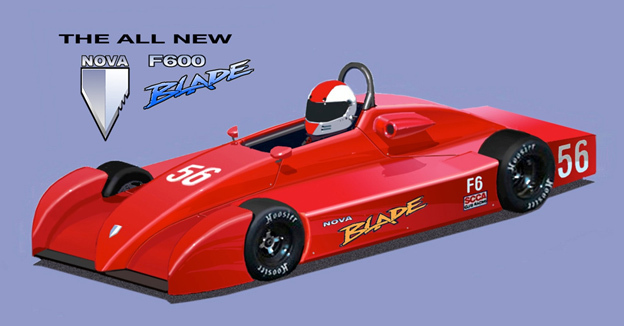 Jay Novak and NovaRace LLC designs and builds the NovaKar and Rakavon F500 cars for Sports Car Club of America racing. Jay also designs kits to convert FC cars for the new FB class. Formula 600 Racing (F6R) is a partnership of Clint and Dan McMahan along with Jim Murphy and was formed in 2009 with the conversion of the first F600 prototype in the country - a KBS Mk.5. - for our rental business. The newest chasis for The Formula 600 Challenge D.Brown Wildcat. Weight – 650 lbs ready to race with steel belly pan. 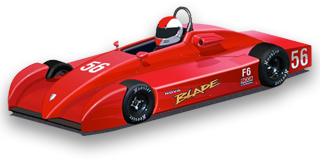 Chassis – large section tubular steel construction with a .083" steel belly pan, aluminum belly pan optional. Brakes – 8” diameter floating front rotors 9.5” diameter floating rear rotor. Wilwood calipers with Nova forged calipers optional. Wheels – Keizer aluminum wheels with forged 4 bolt centers. Front 10” x 7”. Rear 10” x 8.5”. Bodywork – CFD developed multi-piece fiberglass composite body with structural Kevlar anti-intrusion panels. Carbon fiber body for lighter weight optional. Engine mounts for late model Suzuki GSX-R600. Optional mounts for other engines as requested.